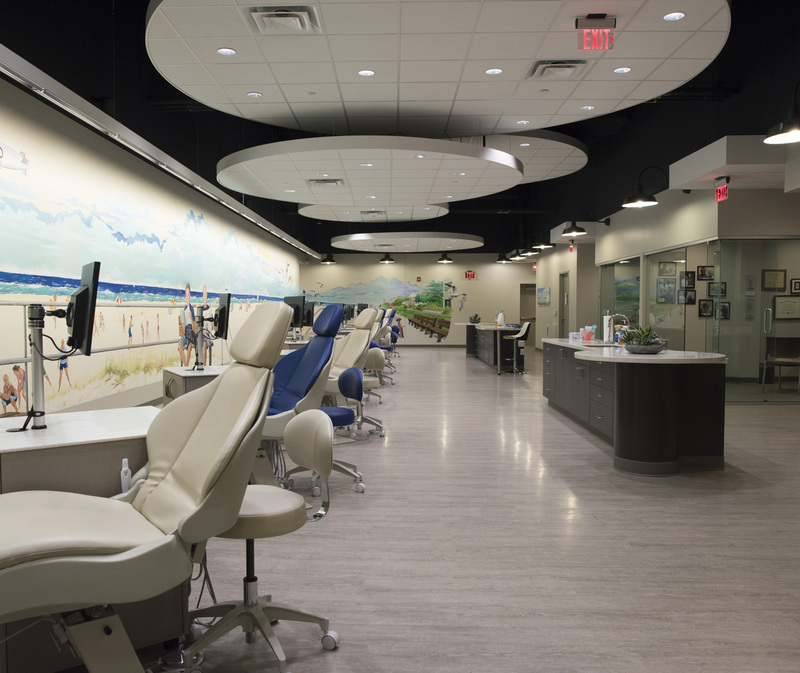 Brace Busters and Appel Orthodontics, two separate orthodontic practices, collaborated to convert an 18,000-square foot warehouse space into contiguous beach-themed treatment areas. 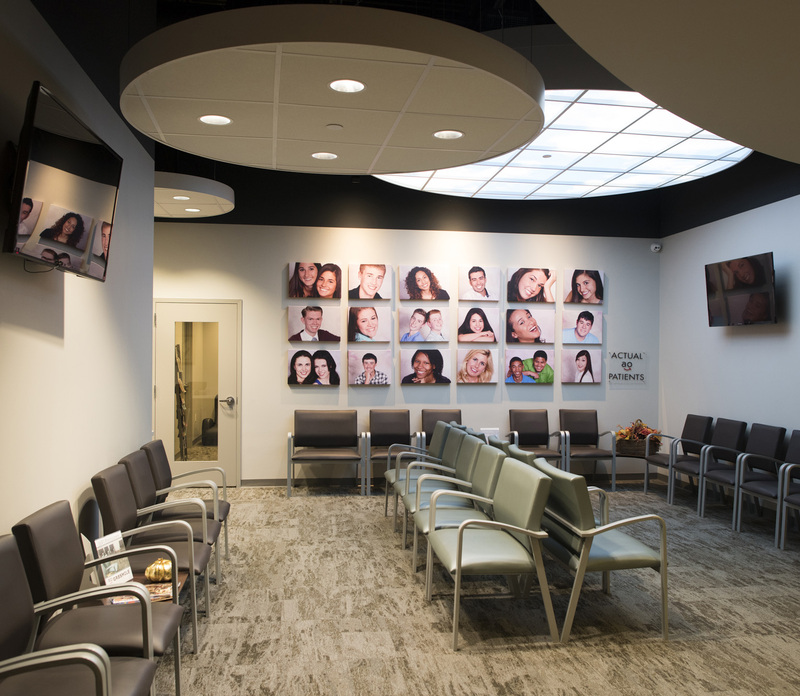 In 2014, Dr. David Bresler had a vision of opening a new orthodontic practice in Philadelphia. An existing property across the street from Doc Bresler’s Cavity Busters on Geiger Road in Philadelphia was chosen for this location. Despite the tragic loss of Dr. David Bresler in 2015, his three children, Drs. Jason, Joshua and Rachel, were committed to making his vision a reality. Together with Drs. Steven and Andrew Appel of Appel Orthodontics, they created the joint practice known as Brace Busters and Appel Orthodontics. 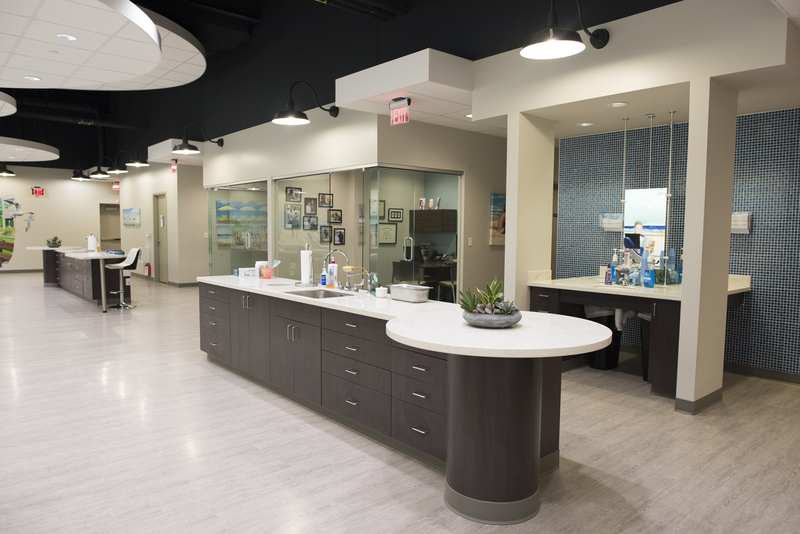 Charles Matsinger Associates (CMA) and our engineers at Wick Fisher White teamed with Construction Managers Wolfe Scott Associates and the doctors from each practice to help create a joint, contiguous practice that stands out from ordinary orthodontics offices. 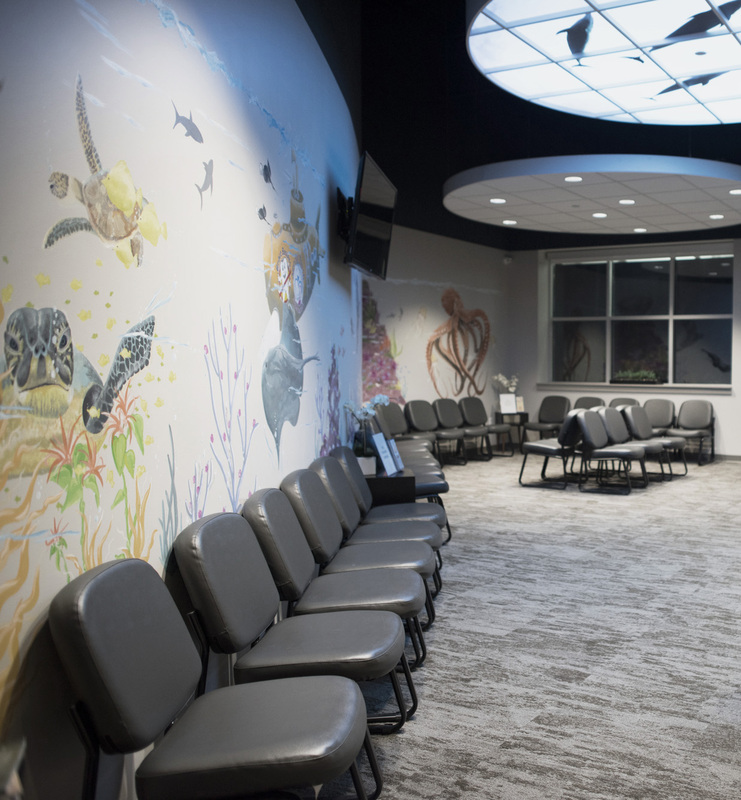 A seascape color scheme was developed for the interior finishes, and beach-themed murals created by local artists line the walls of each practice. The high ceilings of the warehouse were painted black, and circular white lighting pieces were hung 9 to 12 feet high to resemble clouds that appear to float over the area. Weathered-looking planks resembling a boardwalk line the floor of each practice. 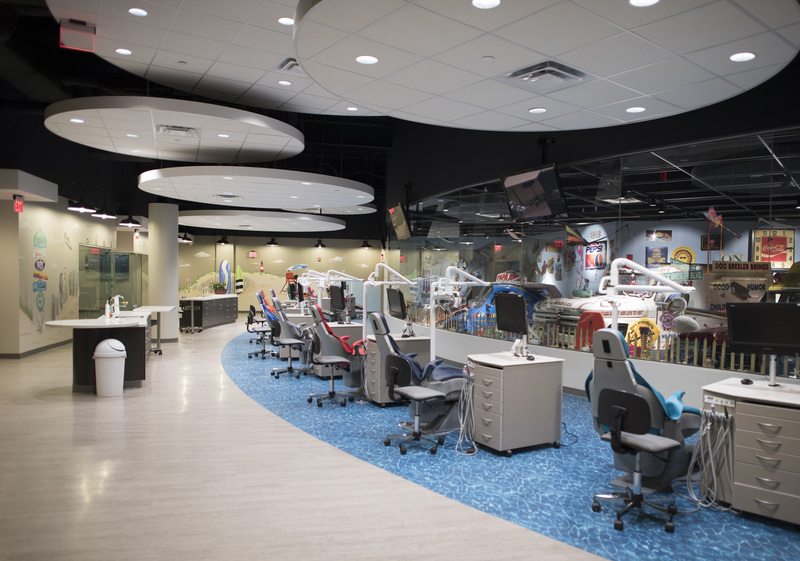 In Brace Busters, flooring resembling ocean water was added to the treatment area to simulate a beachfront. The late Doc Bresler’s famous and unique car collection can be viewed through a large glass wall installed across the entire length of Brace Busters’ treatment area. CMA had previously worked with Dr. David Bresler and Wolfe Scott on one of his dental practices in 2009. 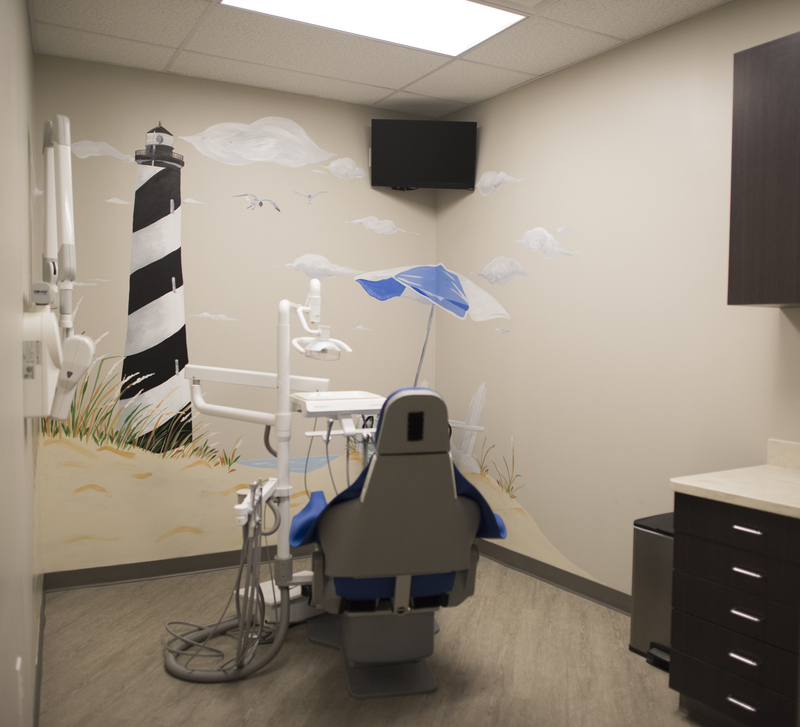 Participating with the doctors, the design team came to appreciate David’s fun-loving and creative approach to pediatric dentistry and adhered to the practice’s goal of eliminating childhood fears associated with dental visits.